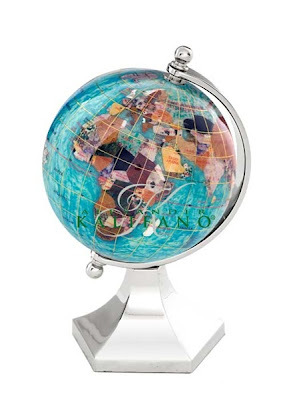 Yes, there is such a thing as an eye globe – your eyeballs are it. In Latin, the eyeball is called bulbus oculi) or eye bulb, as the presence of the cornea makes it look more like a bulb in cross-section. 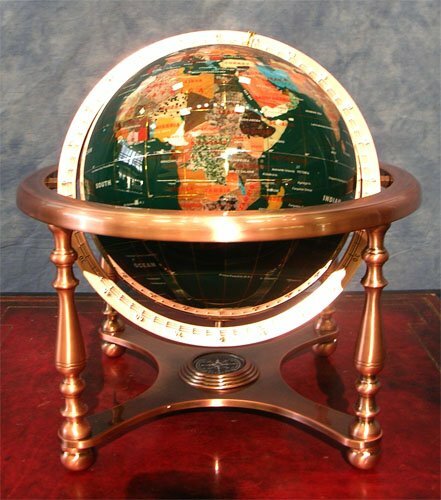 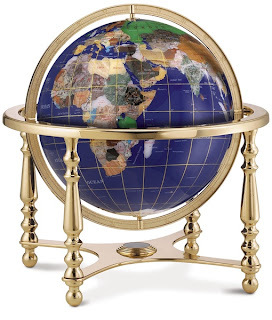 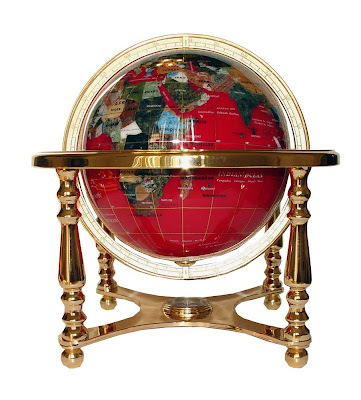 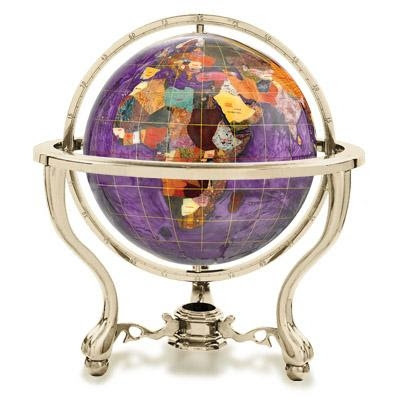 However, without the eye globe, one will not be able to enjoy the beauty of the world – and the beautiful world globes that adorn our Ultimate Globes collection, particularly the Gemstone Globes that shimmer and shine in the beauty of Earth's own materials. 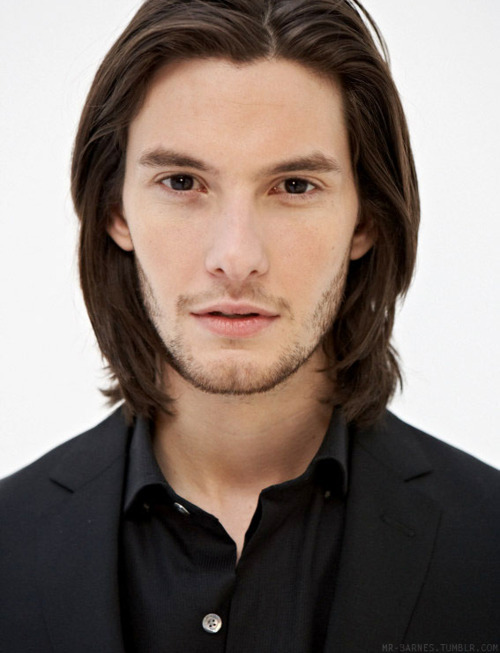 True black is a very rare eye color, but it is said Prince Caspian actor Ben Barne's eyes are very close to black. 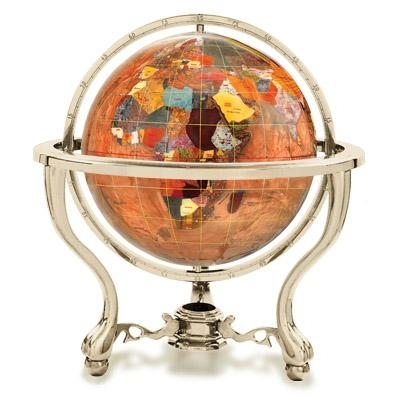 Green is not a common color for globes, neither is red, but green and red gemstone globes do exist. However, while green eyes are beautiful, don't expect red eyes in a healthy human.